I love hummus.I usually eat it as a dip with any sort of vegetable. 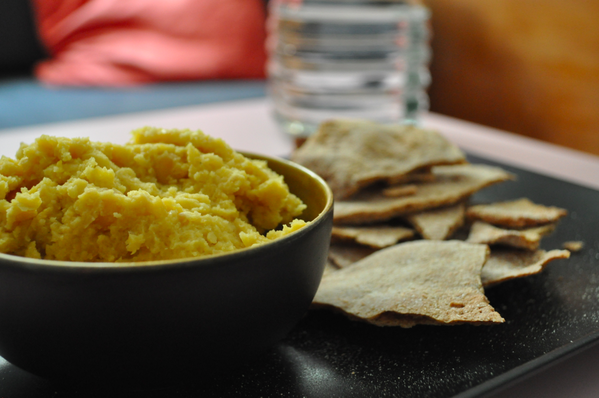 So when I stumbled across this incredibly tasty hummus recipe I knew that I had to share it. I seriously have never tasted better hummus and it’s so easy to make. them soak in water over night and then cook them for about 10 minutes. Zest half of the lemonn, squeeze the garlic and fry both in a pan using olive oil until it’s almost crispy. Add the curry powder and the orange juice and salt and let it simmer for 3 minutes. Put the Chickpeas in a blender and add the ingredients from the pan, done. If I am completely honest, I have never really paid much attention to my protein intake.